Tasnim – Tehran does not recognize a new report the UN special rapporteur on the human rights situation in Iran is going to submit to the UN General Assembly Third Committee, Iran’s Foreign Ministry spokesperson said, rejecting the report as baseless, biased and politically-motivated. 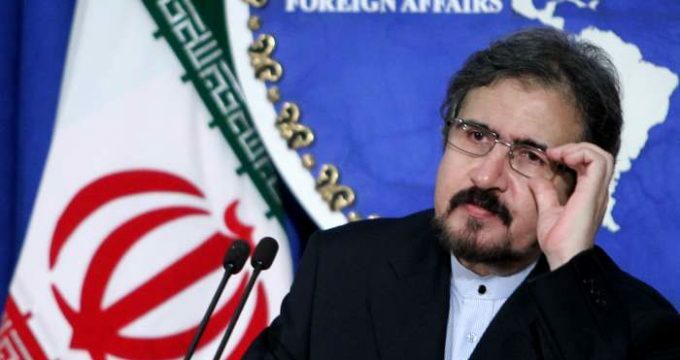 Bahram Qassemi on Sunday slammed the report by Asma Jahangir as unacceptable, saying the Pakistani UN rapporteur’s report and her mission are based upon “political and selective objectives” of certain countries. “The Islamic Republic of Iran… does not recognize the report, and considers it rejected and unacceptable,” he underlined. Despite Iran’s frequent, comprehensive and evidence-based replies to the “groundless” allegations in the UN special rapporteur’s reports, the document is still relying on “a series of wrong information and improper prejudgments” of the human rights situation in Iran that make reference to “inauthentic sources,” Qassemi added, saying such conditions have “seriously tarnished the credibility” of such reports. “Unfortunately, the special rapporteur seems to have turned a blind eye to the multiple cases of human rights advances in Iran and tried to display a dark and one-sided image of the status of human rights in Iran with the repeated employment of vague phrases and expression of unreasonable concern on the basis of inauthentic data,” he deplored. Such conduct would undoubtedly damage the principles of evenhanded and professional work by a UN rapporteur, Qassemi added. He finally warned that adopting “political, repetitive and selective” approaches by certain countries toward the issue of human rights would only undermine the position of human rights in the world and bring more discredit on the self-proclaimed advocates of human rights, while the international community is witnessing an ignorance of the brazen cases of violation of human rights and of the crimes committed by terrorist groups in Yemen, Bahrain, Myanmar and elsewhere. Jahangir, from Pakistan, was designated as the special rapporteur on the situation of human rights in Iran by the UN Human Rights Council in September 2016. Tehran has frequently reiterated that it basically disapproves of appointment of a UN special rapporteurs on the situation of human rights in Iran, saying what is more ridiculous is that Saudi Arabia assigns such rapporteurs.